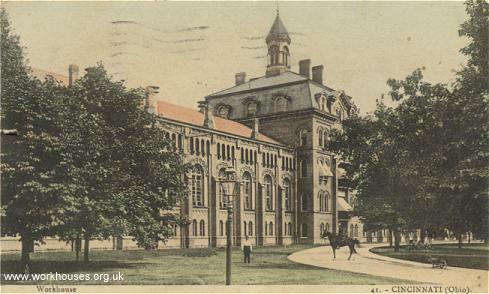 Although the workhouse system in Britain became the most well developed of any in the world, a number of other countries had workhouses or other institutions providing care and relief for the poor and destitute. Establishments existed in other European countries such as Holland which had three large workhouses (at Amsterdam, Nieuwe Pekela and Middleburgh) and Belgium which had five (La Cambré, Bruges, Hoogstraeten, Mons and Reickheim). 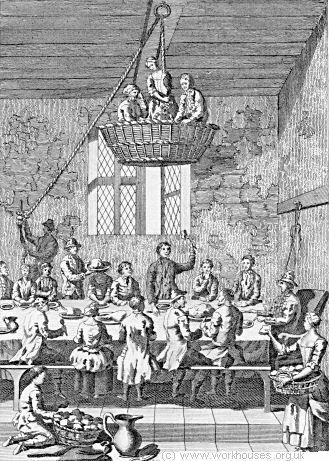 A 1777 illustration (below) depicts the "Method of punishing the Idle in the Poor House at Hamburgh [Germany], by suspending them in a Basket over the table where the more Industrious are at their Meals." Stockholm's Dihlstrom workhouse had 414 inmates in 1863. Norway had a women's workhouse (the Manufakturhuset) in Bergen. Denmark, too, had workhouses — for example, the Vieb'ltegaard in Svendborg which now houses a maritime archive was formerly the town's workhouse. Elsinore's Helsingør Bymuseum is housed in a building used as Elsinore's poorhouse from around 1650 to 1902. Copenhagen's Ladegården institution was a war hospital (1733-1767), mental hospital (1768-1833), and then a workhouse after 1833. 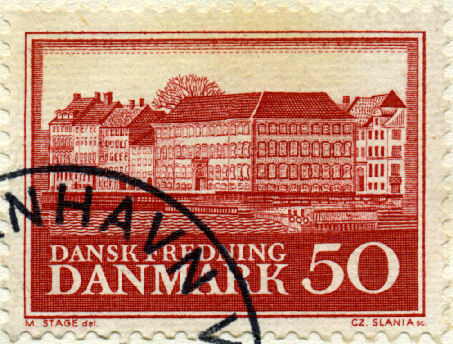 A 1966 stamp showing the Copenhagen Poor House. 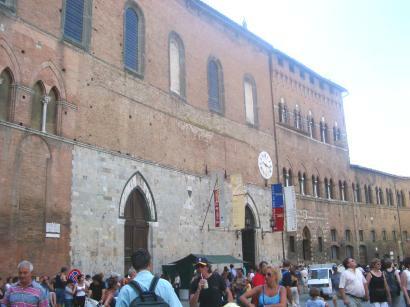 Dating back to at least the eleventh century, the Santa Maria Della Scala hospice and hospital in Siena, Italy, provided care for the poor and abandoned children. Santa Maria Della Scala former Hospice and Hospital in Siena, 2002. 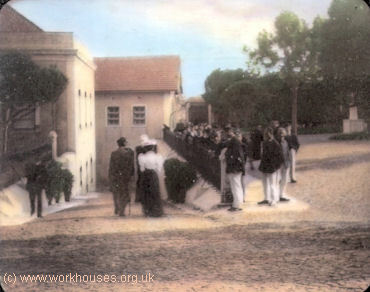 The poor house at Lisbon in Portugal is shown on this old lantern slide. 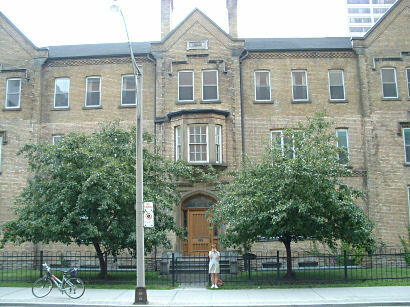 North America, too, had workhouses in the USA, Canada, and Mexico. 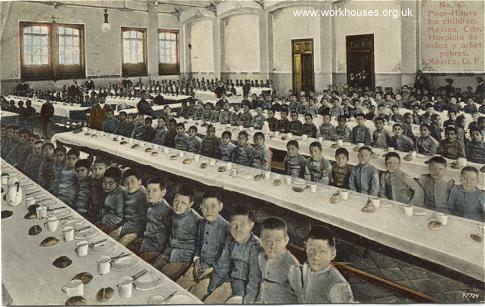 For more information on the USA's workhouse system see The Poorhouse Story web site. 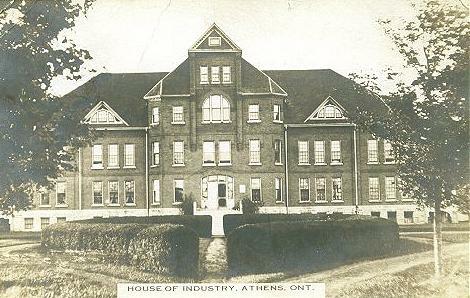 House of Industry, Athens, Ontario. 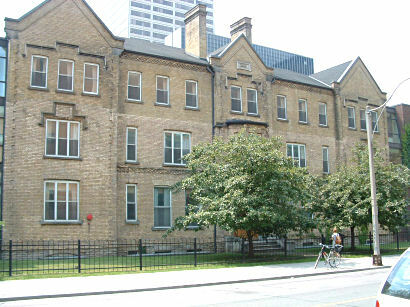 Toronto's 1848 House of Industry, 2004. 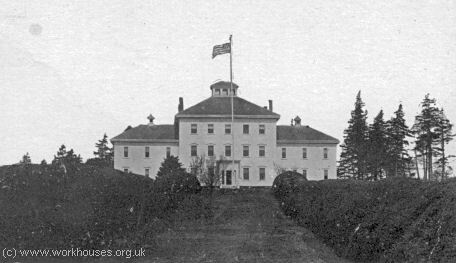 County Poor Farm, Arcadia, Nova Scotia. 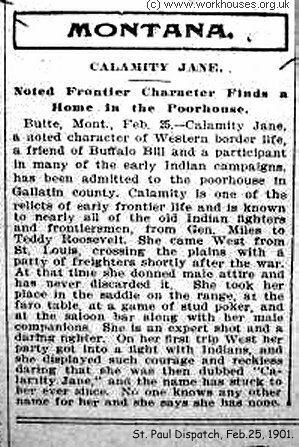 In 1901, two years before her death at the age of 52, 'Calamity Jane' was admitted to the Gallatin County poorhouse. Calamity Jane in the Gallatin County Poorhouse, 1901. 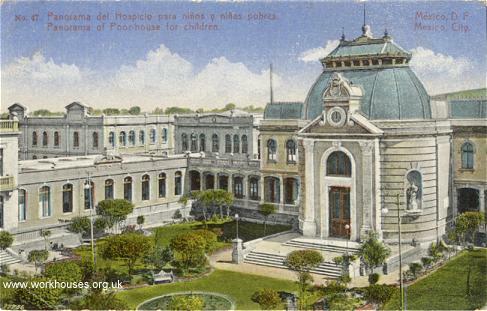 Mexico City poorhouse for children, 1922. 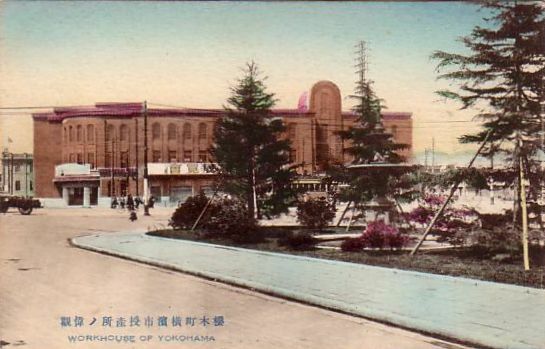 One "workhouse" establishment whose precise nature is unknown appears on a Japanese postcard — "Workhouse of Yokohama". 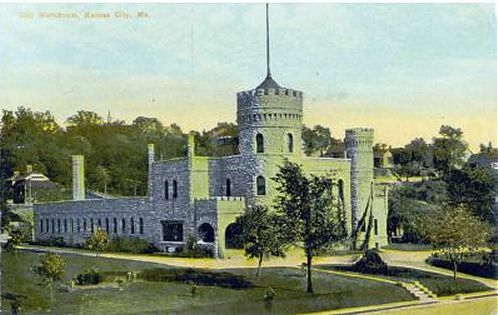 Any further information about this building would be welcomed!